Taylor Steele has a long career in environmental education and public outreach, and currently serves as Volunteer Coordinator at the Birmingham Botanical Gardens. 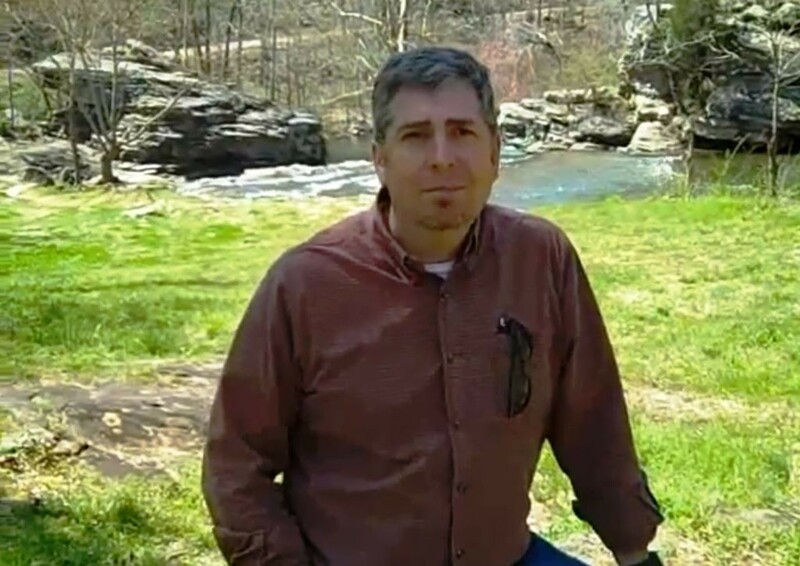 Prior to that, he served as the resident manager for Turkey Creek Nature Preserve in the Southern Environmental Center at Birmingham-Southern College for three years. Before that he was the Director of Science Education for five years at Cornerstone Schools of Alabama. In addition, he previously worked at McWane Science Center with the GLOBE Program as the Environmental Science Coordinator. Taylor has also served as a naturalist with the Alabama Department of Conservation and Natural Resources State Parks Division. 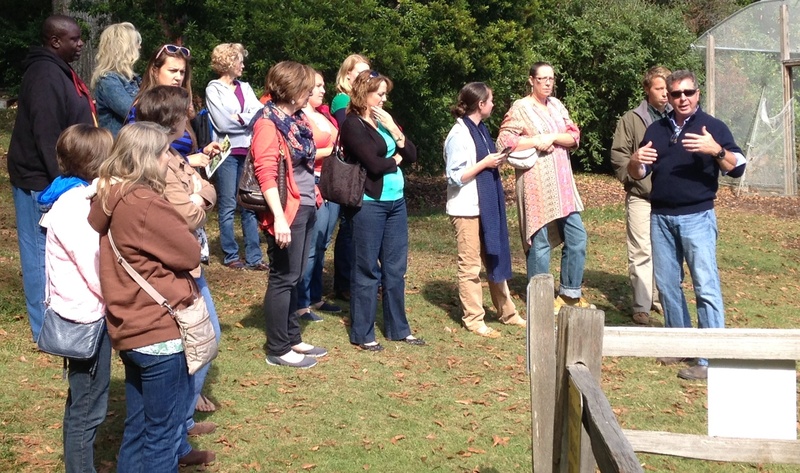 He has an academic background in Environmental/ Conservation Studies from University of Alabama at Birmingham. 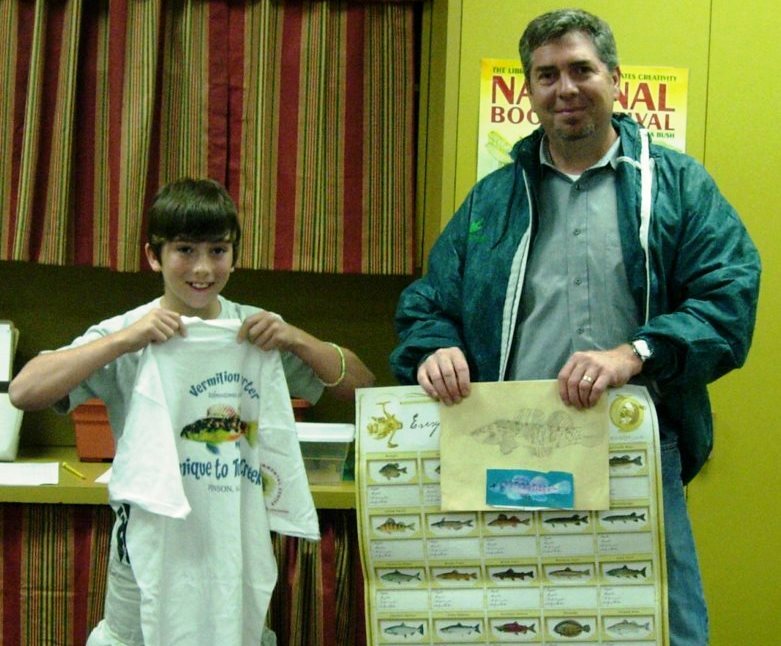 In his spare time, Taylor has been serving as a Trainer-Extraordinaire with Alabama Water Watch. In the past 15 years, he as conducted 73 AWW workshops (Water Chemistry Monitoring workshops, Bacteriological Monitoring workshops, Stream Biomonitoring workshops, Exploring Our Living Streams workshops, Water Monitor Recertification workshops, and AWW Trainer Intern workshops), certifying or recertifying 538 folks in the process – WOW! My birthplace is Birmingham, AL. However much of my formative time as a child was spend in southeast Texas and the western slope of Colorado. My grandparents had a small cattle and horse ranch in Texas, which to a boy between the ages of 7-17 was truly an outdoor paradise! My uncle worked in Colorado-mostly around Leadville, so my brother and I would visit during the summers hiking and fishing the cold mountain streams. My love for water and the creatures who depend on it for habitat and survival started at an early age. I have several spots that I call my “favorites” both in Alabama and other places. In our great state, I guess Turkey Creek. I spent many hours helping bring it to the awareness to folks regarding its unique beauty, biodiversity, cultural richness, and of course the best swimming hole in Central Alabama! West of the Mississippi, I became initiated to fly fishing, kayaking, and a more keen awareness of water resource issues, policy, and what “grass roots” organizations can do to protect and preserve rivers. My college days were spent on a mesa over-looking the Lower Animas River. Last, I had the opportunity to spend a bit of time teaching and learning on the Chao Phraya River in central Thailand. Truly one of those transformative life experiences that I’ll cherish the rest of my life! I truly love getting my feet wet so swimming is on the list. Kayaking, fly fishing also equally fun. Canoe camping is a great way to immerse yourself into a river for multiple days in order to gain insight into its story. 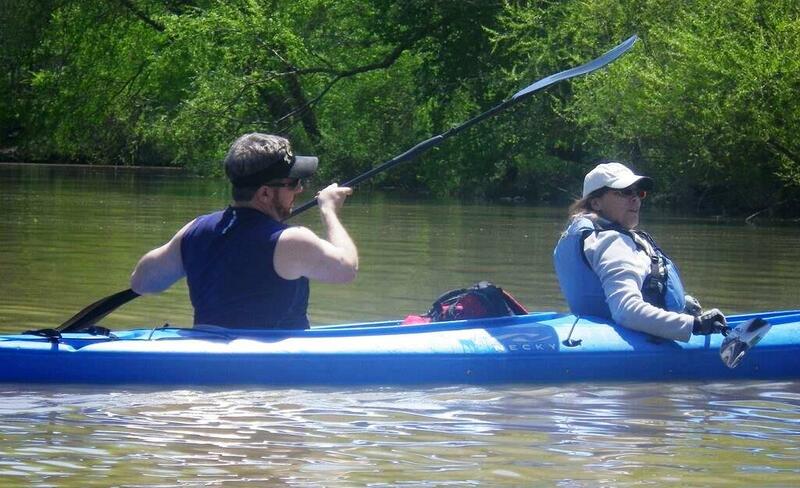 Any form of recreation on water, whether creek, pond, river, lake or ocean is a good day! I was living in Indian Springs at the time, working for Alabama State Parks, so one of my duties was to assist with water quality on the lakes and tributaries that ran through Oak Mountain State Park. I had performed water quality analysis with the BLM after college, so I knew a bit about turbidity, pH, BOD, dissolved oxygen, etc…Met a lady from Alabaster (Alison Jenkins) who was working on some data collecting on Buck Creek. I thought it would be interesting and fun to expand my knowledge-and did I ever. I became a monitor in 95′, and a trainer in 96′. A great organization fueled by the wonderful people who are involved in Alabama Water Watch. I have met many life-long friends. Including my training partner Hana Burwinkle-Berres. 5. What are the biggest challenges/issues in your favorite watershed? Going back to my allegiance to Turkey Creek, I would say its biggest systemic problem are bed and suspend loading of sediment from urban runoff, and possibly water quality degradation due to land use development pressures. 6. 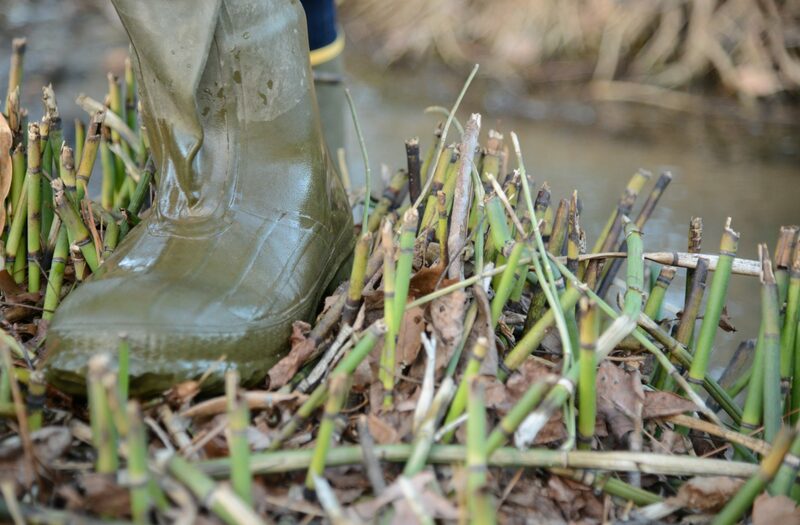 Do you have some “lessons learn” that you could pass on to the rest of us relative to watershed stewardship? The slow paddler doesn’t win the race, but saves the river for another race to happen. People involved in protecting our water resources locally, nationally, and internationally are in it for the long term. I intend to be on the water in some manner the rest of my life. We should all want the next generation of water watchers to have a precocious nature about water. Our role as stewards to our natural water resources is to play host to the people that need to splash more, and argue less. 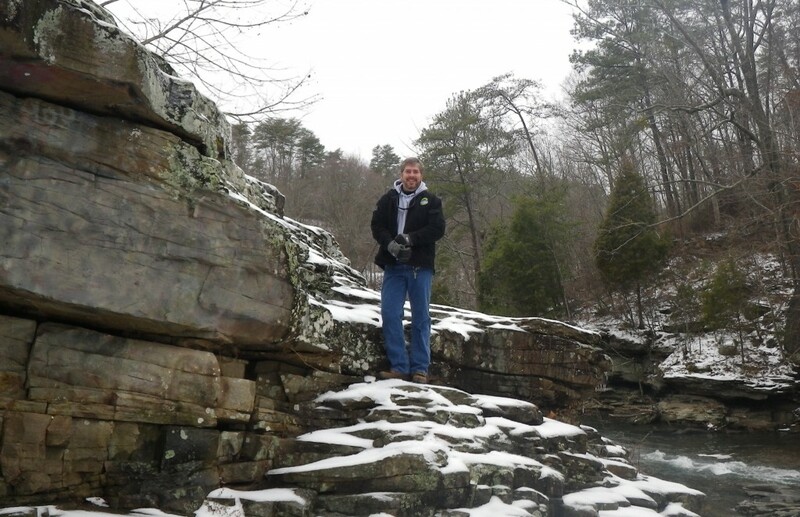 Meet Taylor Steele, Manager of the Turkey Creek Nature Preserve near Pinson Alabama, and the state coordinator for all of our Alabama Water Sentinels partnerships. Turkey Creek contains some of the most biologically diverse habitats in this region of Alabama. Turkey Creek is home to three endangered species of fish: the Vermilion Darter, the Watercress Darter, and the Rush Darter. The Rush and Vermilion Darters occur only in Turkey Creek and nowhere else in the world.